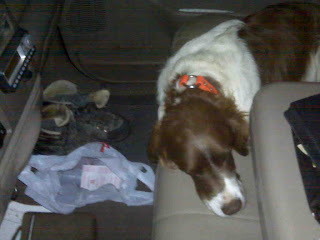 A Bird Hunter's Thoughts: On the Road again! Ace and Bo and Peaches and I are on our way to KS. Robert's been out there for 2 weeks and finding lots of pheasant but little quail. 2 to 4 coveys per day. I just filled up with diesel at QT for $2.55- gotta love that.